Today I’m going to show you how I post Digital Content to a WordPress Content Management System (CMS) with Search Engine Optimization (SEO) in mind. 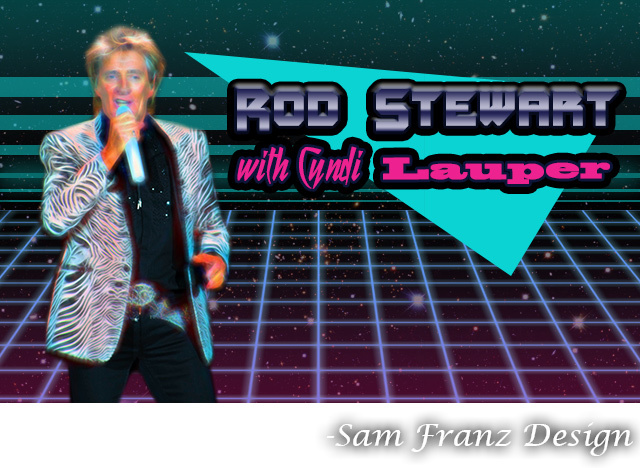 I need to post digital content to a 1980s radio station website to promote an upcoming concert with Rod Steward. This content needs to include an eye-catching graphic, a time, a venue location, and other related metadata. I need to post this content within 24 hours of receiving the assignment from my promotions director. A Content Management System allows you to create a unified web design that can be easily revised when new content needs to be published. I posted previously about the importance of a CMS in designing a website. Each CMS has their own benefits and drawbacks. For this example I am using WordPress as my CMS. WordPress by default allows “Posts” and “Pages” as two different types of digital content. Pages hold static content which remains mostly unchanged; Posts hold time-sensitive content which may be relevant for the present, but declines in relevancy after a given time. I can also post other types of content to WordPress including images, graphics, and multimedia. The use of extensions allows me to post even richer data such as contact information or events. It’s always a good idea to consider the type of content I need to post. In this case, I need to promote an upcoming concert. 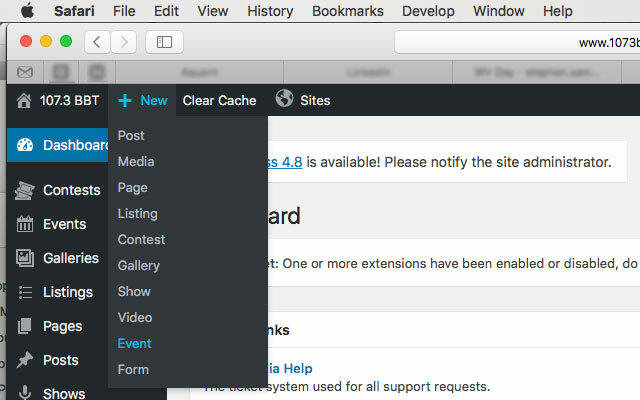 Events aren’t part of the default WordPress installation. I could makes this a regular WordPress “Post” but the problem there is the lack of specific metadata. Proper SEO makes good use of metadata, thereby allowing search engines to index my data. It’s time to solve this problem creatively. 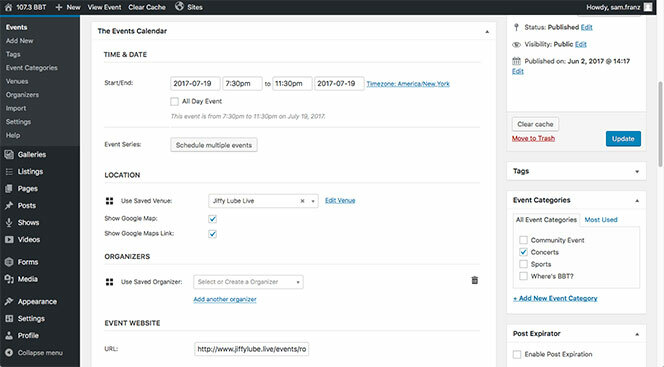 There’s a Plugin called “The Events Calendar” on the WordPress repository. This plugin allows me to create Event Posts and related metadata. According to metrics I collect with Google Analytics, Event Posts with graphics have a significantly higher clickthrough rate than Event Posts without graphics. I consulted my promotions director to ensure any graphics I make comply with the radio station’s brand identity. My promotions director impressed upon me the importance of “1980s style” to brand identity. She asked me for lots of day glow colors and intentionally tacky, over-the-top style. 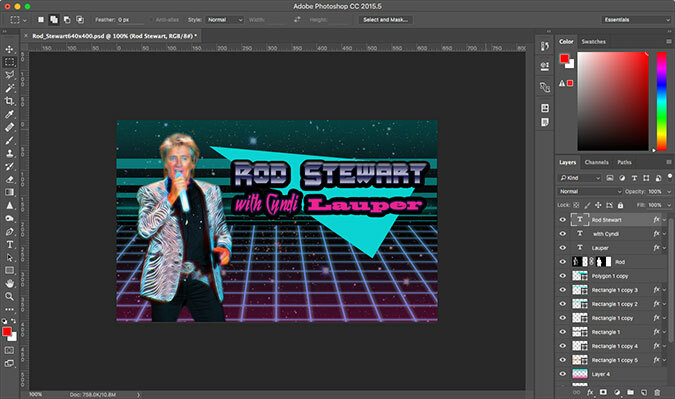 I utilize Adobe Photoshop to edit an approved promotional photograph of Sir Rod. I use photoshop to add neon and day glow colors to the otherwise normal photograph. Next I draw a geometric background with lots of over-the-top 1980s style. One I have completed designing the graphic in photoshop, I still need to upload the graphic to the website. 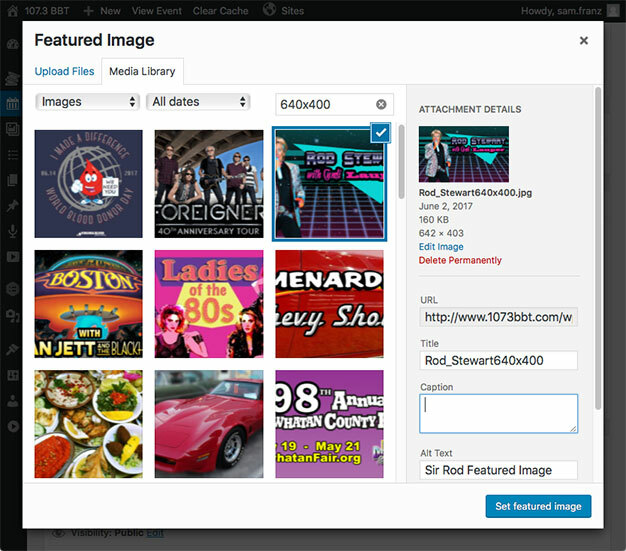 Luckily, WordPress has rudimentary Digital Asset Management Built right in. This DAM isn’t as powerful, or as full-featured as Canto or Webdam, but it does the trick here. After I name the performers in the headline, It’s time to add metadata to this Event Post. I need to optimize this data to be read and indexed by Google, Bing, and other search engines. I use an important plugin called Yoast SEO to ensure that I comply with best practices for search engine optimization. The data I gleamed from Google Analytics indicates that my page views have increased significantly since I started using Yoast SEO. Click here to view the event post live on its native website. Today I have shown you how I post Digital Content to a WordPress CMS with SEO in mind. 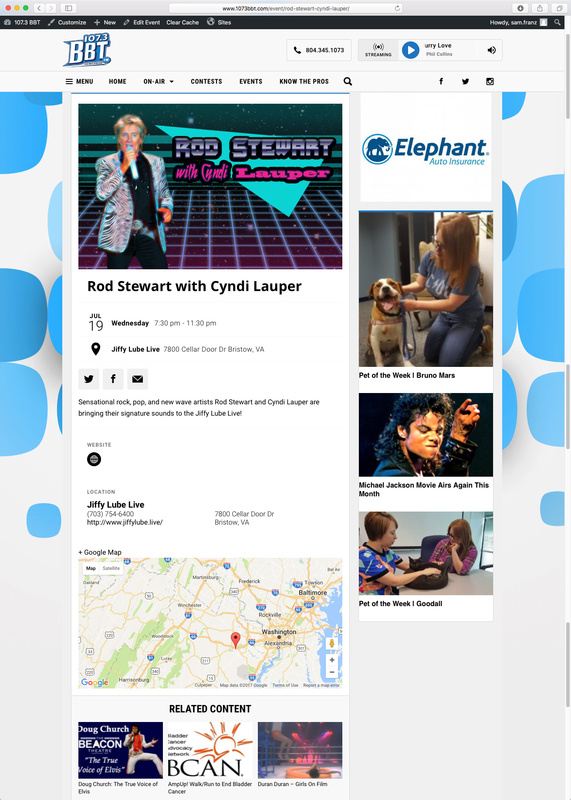 I achieved my goals by posting a Rod Stewart concert event to a radio station website, including a graphic and metadata. I concluded this project within 24 hours of receiving the initial assignment.